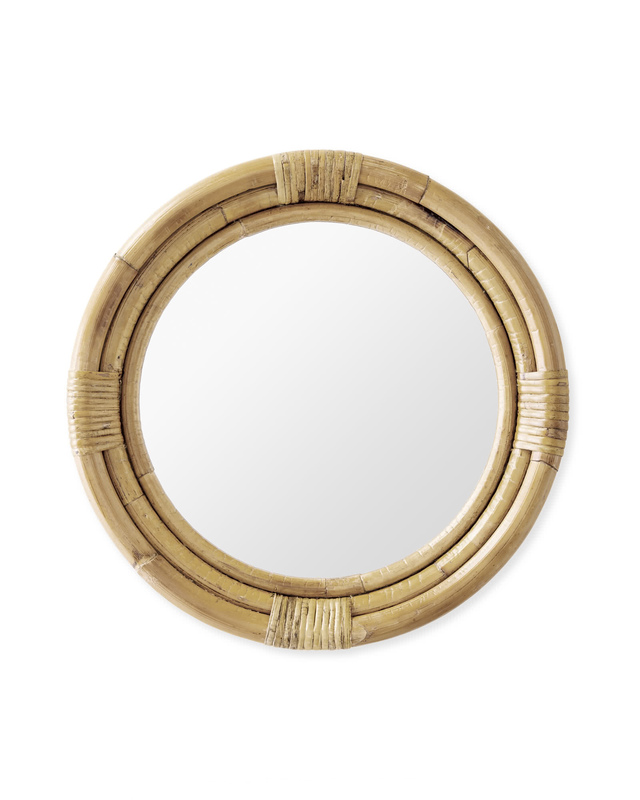 Montara MirrorMontara Mirror, Natural alt="Montara Mirror, Natural"
Print Crafted of unadorned rattan, this mirror has a simplicity we admire. Double framing brings unexpected dimension to the wall – a shipshape alternative to the standard mirror. 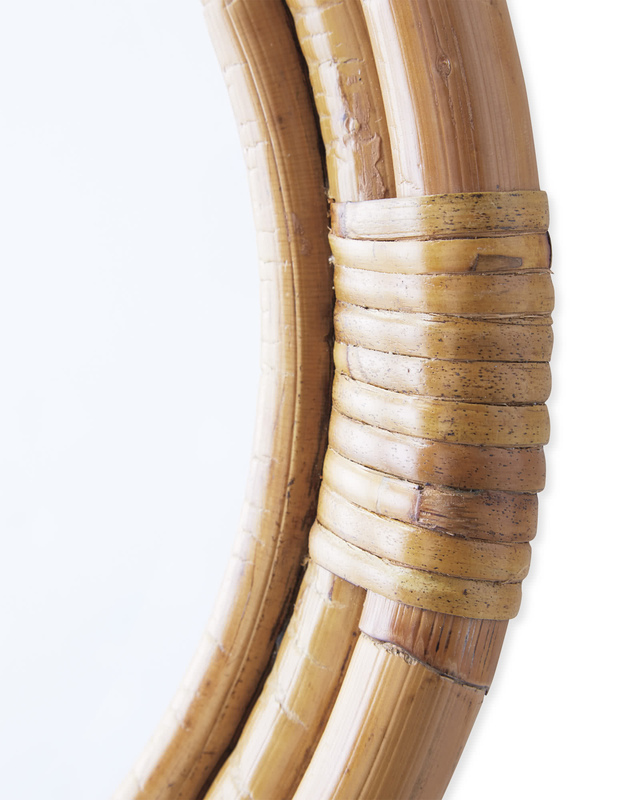 Handcrafted of bent and split rattan with a natural or painted white finish. D-rings attached for mounting (hardware not included). 18" DIAM x 2"D overall. 28.5" DIAM x 2"D overall. 40" DIAM x 2"D overall.